DOEprojekts: 'just us at work' — Lori Waxman, 60words/min art critic, writes about our art action — and says she will visit us in the Amtsgericht! 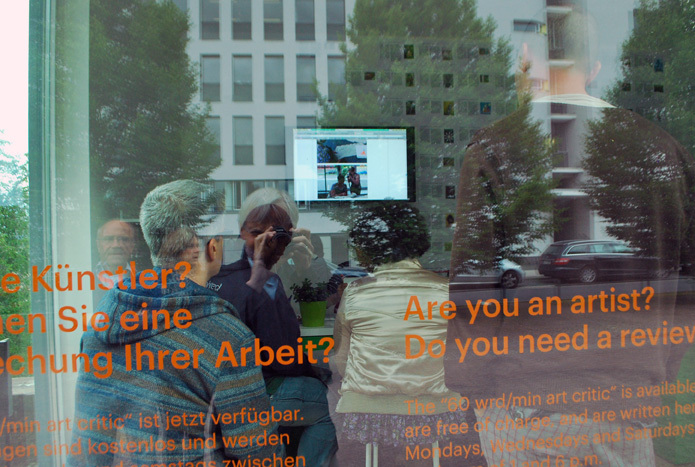 'just us at work' — Lori Waxman, 60words/min art critic, writes about our art action — and says she will visit us in the Amtsgericht! 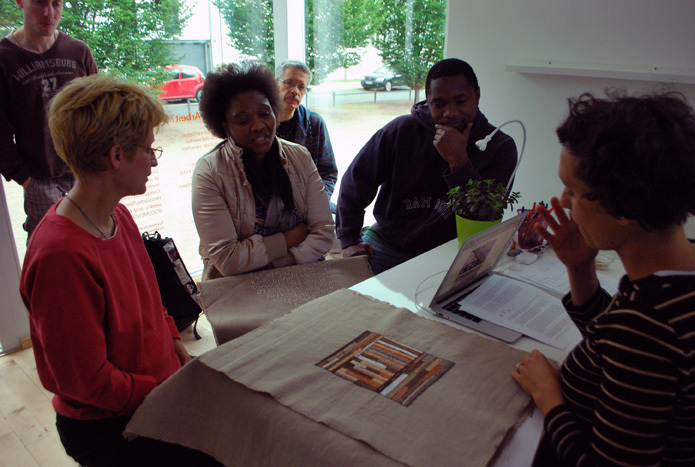 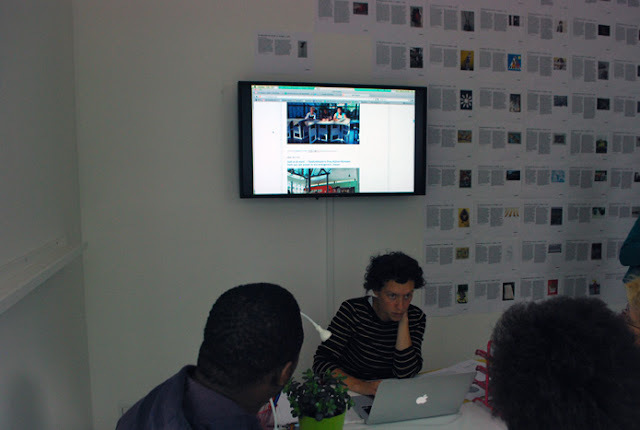 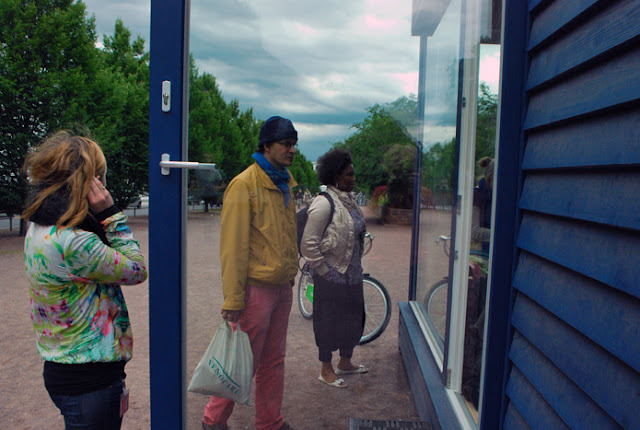 DOE Projekts (Deborah, Cebo, Veronica, and Glenn -- Week 6) visited dOCUMENTA's Lori Waxman, 60 wrd/min art critic. 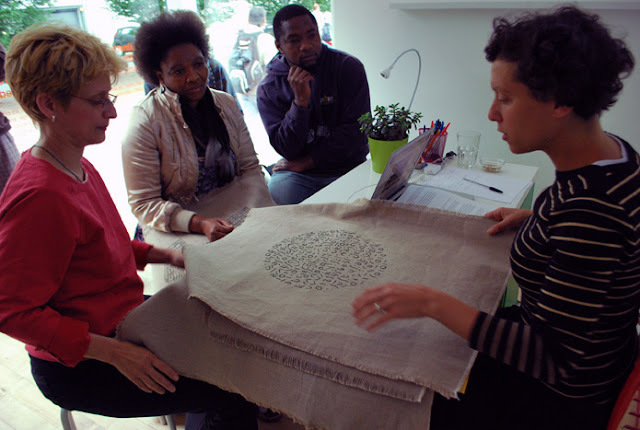 We enjoyed meeting and speaking with Lori and look forward to her visit in the Amtsgericht for a personal look at our art action, "just us at work."